Centerville District median real estate price is $813,267, which is more expensive than 78.0% of the neighborhoods in California and 95.5% of the neighborhoods in the U.S. 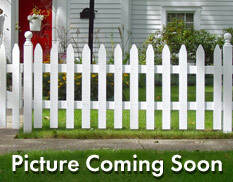 The average rental price in Centerville District is currently $3,391, based on NeighborhoodScout's exclusive analysis. The average rental cost in this neighborhood is higher than 90.9% of the neighborhoods in California. Centerville District is an urban neighborhood (based on population density) located in Fremont, California. Centerville District real estate is primarily made up of medium sized (three or four bedroom) to small (studio to two bedroom) single-family homes and townhomes. Most of the residential real estate is occupied by a mixture of owners and renters. Many of the residences in the Centerville District neighborhood are established but not old, having been built between 1970 and 1999. A number of residences were also built between 1940 and 1969. Real estate vacancies in Centerville District are 5.6%, which is lower than one will find in 71.7% of American neighborhoods. Demand for real estate in Centerville District is above average for the U.S., and may signal some demand for either price increases or new construction of residential product for this neighborhood.